Whether parents are unwed, separated, or divorced, they have a legal and moral responsibility to care for their children. As far as the law is concerned, until a child reaches adulthood, also referred to as â€œthe age of majorityâ€�, parents are financially and legally responsible for their well-being. When the parents of a child are legally married at the time the child is born, the parents typically share legal and physical custody of the child automatically. However, when the parents are unwed or going through a divorce, a determination as to how custody of the child will be allocated between the parents must be made. What is a Child Custody Plan? Most child custody determinations are made during a divorce or following the legal establishment of a father's paternity. As part of a divorce or paternity action, the parents of a minor child are typically required to submit to the court a plan for the care of their child. This is called a child custody plan. The courts encourage parents to work together to create their own child custody plan that will later be approved by the court. But, if the parents cannot come to an agreement regarding the terms of their child custody plan, the court will decide these terms for them in light of what it believes to be in the best interest of the children. Once a custody plan has been established, a judge will issue a court order reflecting the terms of that plan. This court order is legally binding and can only be changed or modified by a judge and under certain conditions. Whether it's a change of employment, a relocation, or remarriage, life changes often lead to a need to modify or adjust a child custody plan. Other good reasons for modifying a child custody plan may include a new job that clashes with a parent's visitation schedule and/or a desire to spend additional time with a child to fix a faltering child-parent relationship. Whether one or both parents have a desire to modify the terms of their child custody plan, they may negotiate, agree upon, and implement the changes themselves or with the help of a counselor, mediator, or another third party. However, once an agreement has been made, it should be put into writing and taken to courtâ€”preferably, the same court that issued the original custody orderâ€”to be reviewed by a judge. Typically, as long as the changes are reasonable, the court will approve the proposed changes to your child custody plan and make them official by incorporating them in a new custody order. Making changes to a child custody plan official in court is extremely important. This is because, informal modifications to a child custody plan are not legally binding, but a modified custody plan that has been made official by being rendered as a court order is legally enforceable. This will ensure that if either parent reneges on the new custody plan, the other parent can return to court and ask the judge to enforce the new court order and oblige the other party to comply. When Will The Court Allow You To Change A Child Custody Order? In practical terms, the judge will look at the proposed changes to your child custody plan and make a determination based on the child's need for a secure and consistent routine and environment. In most cases, when the parents are in agreement on the proposed changes to their child custody plan, the court will usually sign off on it without any issue, as long as it seems to be in the best interest of the child. However, if one parent wishes to change the custody arrangements through modification of the child custody plan, but the other parent objects, the court will typically set a hearing. During this hearing, the parent seeking the change will first have to prove that a material change in circumstances has occurred and that the proposed change is in the child's best interest. If the judge finds that the change is indeed in the best interests of the child, he or she will grant the modification. Bear in mind, however, that while arguing sincerely that you and your child need more time together may be enough for your request to be approved, requesting a modification on the grounds that it will reduce your child support obligation is likely to result in a denial. If you have any questions regarding the best way to request a modification of your child custody order, discuss your specific circumstances with an experienced family law attorney who can advise you on how to proceed. Child custody matters are often the most contentious family law issues for parents to resolve and can result in a tremendous amount of stress for the parents and children involved. Whatâ€™s more, modifying a child custody order can be complicated and time-consuming. But, working with an experienced family law attorney can help you resolve the issues in a timely and efficient manner and with the least amount of collateral damage to your family. 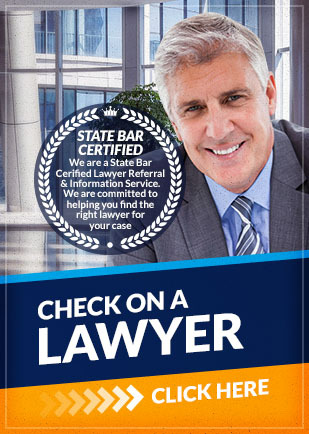 So, while there is no legal requirement that you retain the services of an attorney to assist you in making your child custody changes official, given the complex nature of child custody proceedings and the importance of the outcome, it would be in your best interest to work with an experienced family law attorney. To find a child custody attorney, contact Attorney Search Network today for a Family Law Lawyer Referral with Child Custody experience. We can help you find a child custody lawyer who will help you in all child custody issues.